← ECC Event Invite: Hunger Pub Games! 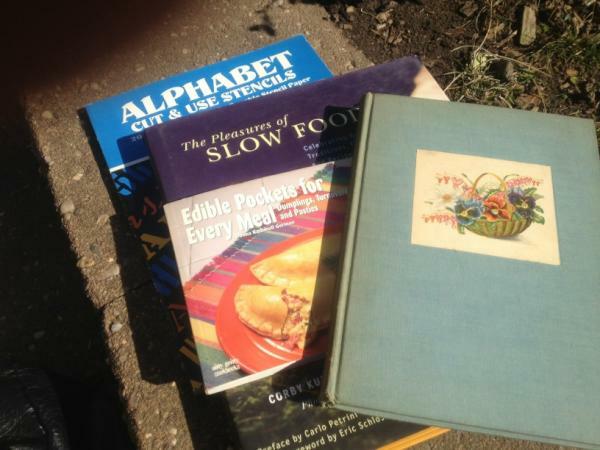 This weekend was one of my favorite annual Park Slope traditions: the Park Slope Methodist book sale! Every year, this neighborhood church collects thousands of book donations (and CDs, and records) of every kind, and the BK literati flock to pick up hardcovers and paperbacks for just a dollar or two. This year, I tried to exercise some restraint – after all, I’ve got books spilling out of the shelves in my room as it is! But I did manage to pick up a few art and home-related titles (I was in a non-fiction mood), that are really fun! 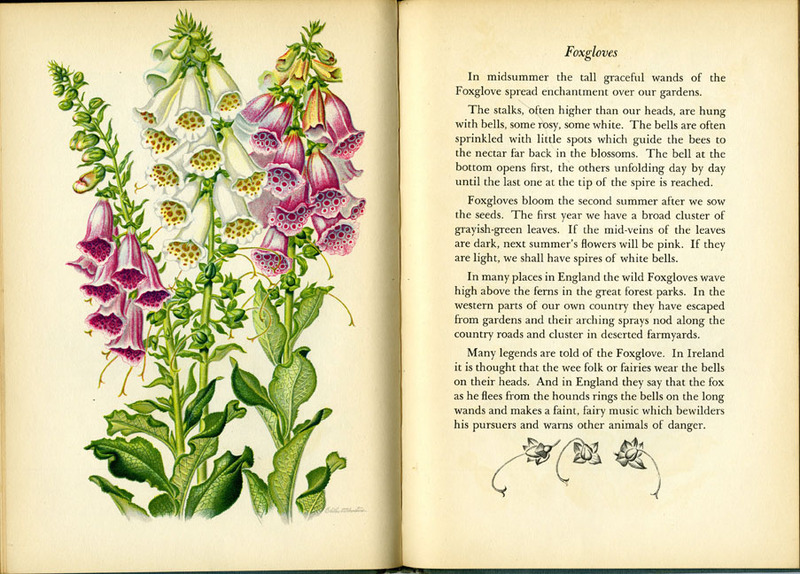 My favorite book of the day is A Book Of Garden Flowers by Margaret McKenny and Edith F. Johnston (Macmillan, 1940). 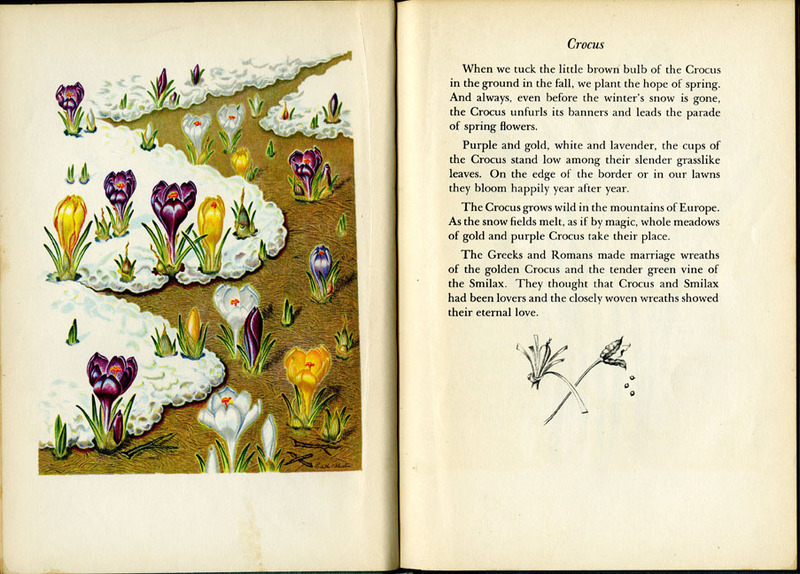 Margaret McKenny turns out to be a renowned Washington State naturalist, and I later found some of her enthusiastic letters about mushroom hunting. 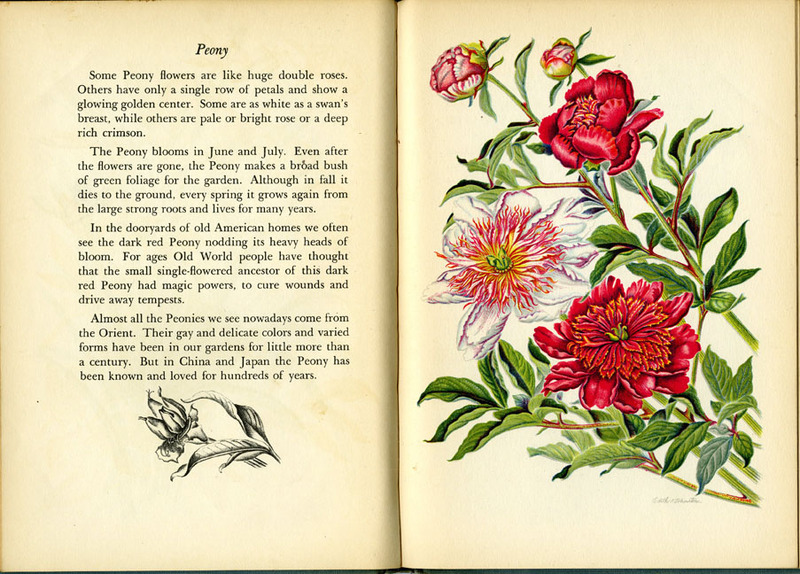 But the piece de resistance is Edith Johnston’s GORGEOUS lithographs of flowers! 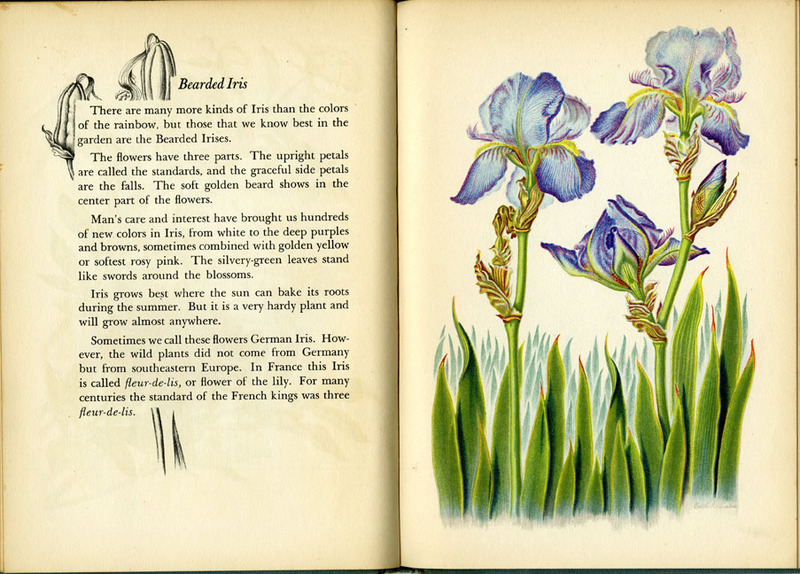 Each one is more beautiful than the next (so much so that I almost scanned the whole book!). Take a look . . . 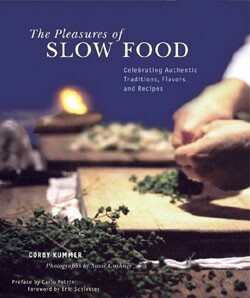 The Pleasures of Slow Food by Corby Kummer (Chronicle Books, 2002). – This glamorous coffee-table volume takes a warm glimpse into the “slow food” movement – where hand-crafted cooking methods enjoyed among company take the place of modern American fast-food culture. I can only hope that I’ll get around to cooking soft-shell crab bisque or pickled herring with apples and creme freche, because the photos are absolutely drool-worthy! Want some of these delightful titles for yourself? Make sure to be on the lookout for the Slope’s book sale next February! 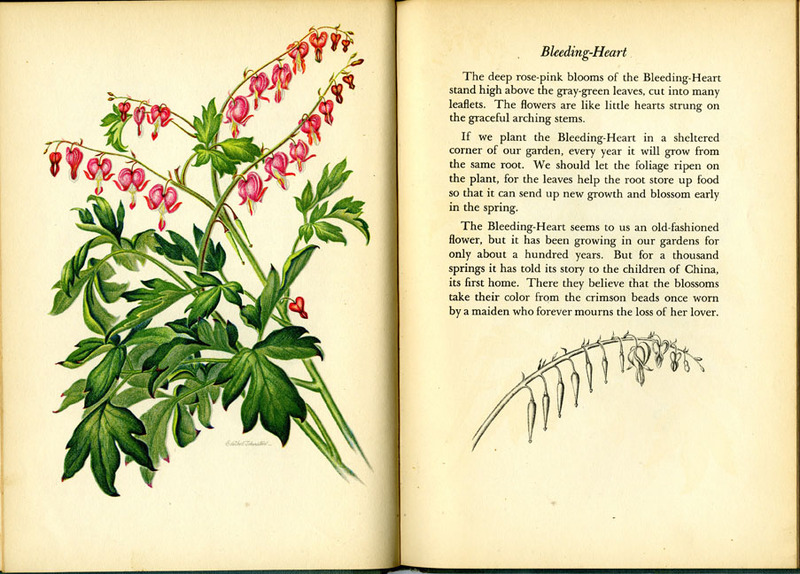 This entry was posted in book reviews, design finds, happenings and tagged a book of garden flowers, book sale, chronicle books, cookbooks, dumplings, edith f johnston, flower books, gardening, margaret mckenny, nitty gritty cookbooks, park slope, slow food. Bookmark the permalink. 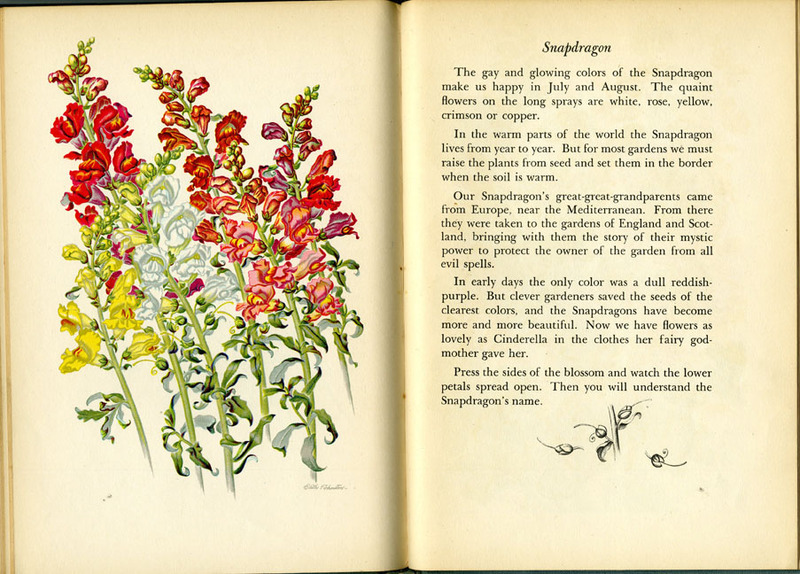 I’d love you lots if you could send me a high res scan of the snapdragons! They’re my favorite! Plus one other you’d suggest to go with it. I’m thinking some wall art is in its future. Absolutely!! I will email you a couple of choices. They’re all so beautiful it’s hard to pick! 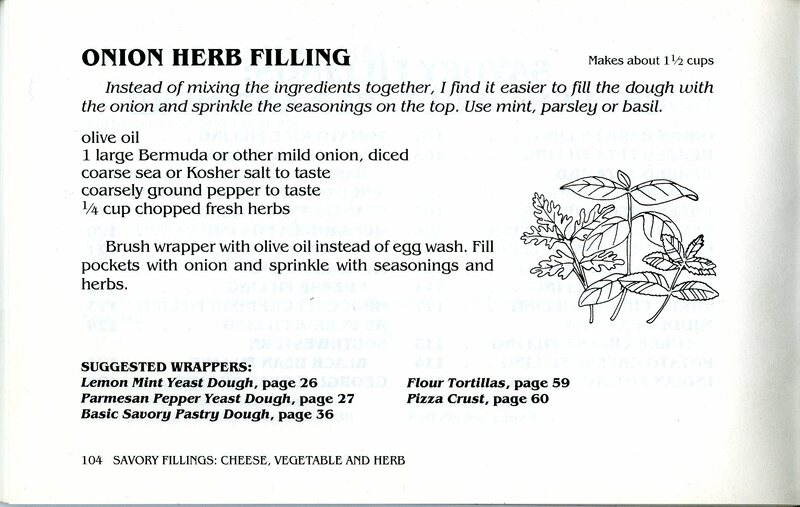 Also I have a snazzy plan for a stuffed naan. Using naan as the dough and a good chicken potato curry as the filling. 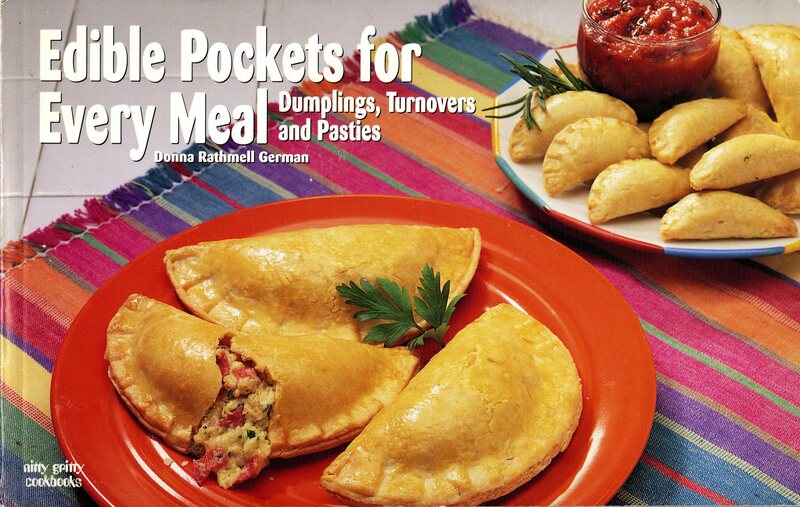 Pocket foods are the best!